Running a busy cello teaching practice means that I am constantly sourcing instruments, bows, accessories, sheet music and recordings for my students. 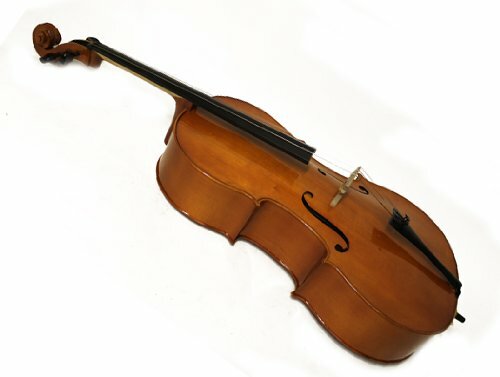 To save myself a lot of time, I have created a one-stop cello shop which I can send them to, and which I hope will prove useful to all of my UK-based readers too. The shop is still under construction, but already has many items in all of the above mentioned categories. I should stipulate at this point that I am not selling these items myself, merely acting as an agent. Everything in the shop has been selected from Amazon UK, and therefore comes with their consumer protection and guarantees as well as their secure online payment. Below you will find links to each of the shop categories. Happy browsing! The People’s Orchestra is a brand new initiative for the Midlands area of England. They are holding auditions for players of any and all orchestral instruments in Birmingham during April, and are aiming to begin rehearsals in May. They even have their first two concert dates with a venue confirmed for the debut concert. All they need now is a group of capable (minimum standard grade 7 or equivalent) and committed players interested in playing enjoyable and accessible concert programs drawing from unforgettable film scores such as Star Wars, Pirates of the Caribbean, Harry Potter and Lord of the Rings. In addition to working on and performing vibrant repertoire, players will also be invited to attend and/ or take part in a master class with a world-class professional instrumentalist. Three of these have already been scheduled: one for strings with Simon Hewit Jones; one for brass with Paul Archibald; and one for woodwind with Joy Farrall and Chris Rawley. This really is a brilliant opportunity and one which is sadly lacking for amateur musicians. For further information about the orchestra and how to audition, please visit their website at www.thepeoplesorchestra.com. Good luck to all those who give it a go!